Today’s crowded pharmaceutical marketplace means that the need for competitive differentiation has never been higher. Life sciences companies need a strong analytics capability —one that not only informs business decision-making but also drives commercial effectiveness. In our latest e-book, ZS’s Mahmood Majeed weighs in on the demand for better information delivery in life sciences, calling for fewer dashboards and reports and more high-value, data-driven insights. He envisions a future in which an AI-powered personalized analytics platform delivers relevant, actionable insights to life sciences companies in real time, which could lead to major improvements in how effectively a rep sells, how efficiently a manager leads her team, or how well a commercial executive makes decisions that affect the bottom line. Fortunately, the future is here. 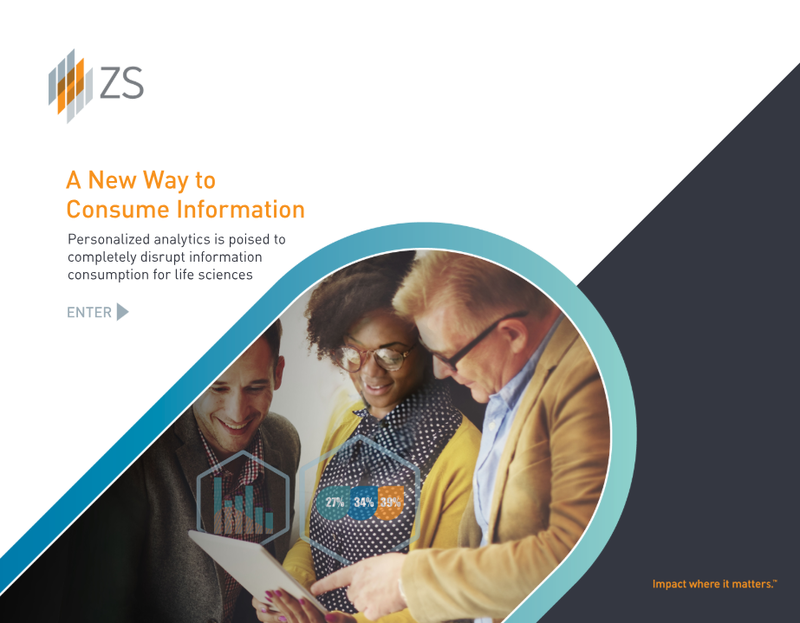 Check out the full e-book to learn more about the possibilities of personalized analytics, and how life sciences companies can make the shift to this new model of information consumption.